In the past, I have used a Logitech cs3000, I had a furious love affair with a bc950, and then I settled down to just using my laptop camera when needed. Except that did not give me some speaker phone features, no zoom, no pan, no “see the whole room” stuff. For the last month or so, I have been wringing out a Logitech Meetup. I threw the box away today, because the Meetup now has a permanent spot in the Tsoorad Test Lab. I find myself using it as a speaker phone AND a video provider on a regular basis. Here is the Logitech market-speak. The question, of course, is how well are these claims delivered? Let’s find out. You also get a 16-foot USB cable, power supply, wall mount hardware, and user documentation. 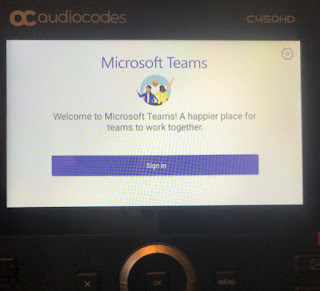 The system is certified for use with Skype for Business and Cisco Jabber and offers enhanced integration with BlueJeans, Broadsoft, LifeSize Cloud, Vidyo, and Zoom. That support includes the ability for remote participants to control the camera. How long are cables? Dang. Break out the zip ties if you don’t need all that cable length. Still, very nice to have. Sit it on a windows sill, table, shelf, or other flat surface. Or, mount it to the wall or something like that. The mount will do both. I had to put the batteries in the remote control module. Oh! The horror of it all! But, let’s be somewhat careful and do some reading. At which point I discover that the included cables won’t do 4k. You will need an aftermarket cable to get the full bazillion square foot display that some folks want. Good luck finding a USB 3.x A to USB C cable longer than 1 meter. I just did 1/2 hour of google-fu and did not come up with anything longer than 10 feet. And that was $92. Be that as it may, my myopic senses probably cannot tell you the difference in 1080p and 4K coming out of this camera into a web-based video room. Here is the bottom line. My use of the Meetup device in both SfB and Teams was totally seamless (I also have used the Meetup with Webex Teams, and meetings on Bluejeans and Zoom. Seamless). The Meetup is an extension of your local host – a Lenovo T530 running Windows 10 in my case. Operated perfectly. Here’s a problem! I spent too much time playing with the controls. Addicting. In and out. Left, right, up, down. Fun! And works well. There is also a button smack-dab in the middle of the control module that returns the camera to dead center. And there is software for download that works pretty much as advertised. You can also pair this thing with your BYOD to get access to the speaker phone and control the entire unit if wanted. *I* thought the audio quality was quite good. Volume, minimal distortion (if any) even at high volume levels; good timbre, overall, a solid 9.5 on the Tsoorad Goodness Scale. I wish it had optical zoom instead of digital. I mean, it sure looks like digital zoom. Having said that, it did everything I wanted it to do in video terms. I am a not possessing the requisite USB 3 cable to enable the 4K, but the 1080p sure looked pretty good to me…zooming in did result in some blurry stuff – I bet the 4K would fix that. Impressive it is. 9.0 on the Goodness Scale. Do you have a 6-10 person room? Are you wanting to park something in there that participants can just walk up to and plug in and voila! they are in a meeting or can start hosting one? Are you tired of the laptop camera restrictions on that scenario? Don’t want to spend a large amount of cheddar on a dedicated wall unit like a Surface or other expe$ive system? Then this Logitech Meetup is probably just right for you! Typical great build quality, nice feature set, good controls, integration with just about everything, and with great audio/video quality. What are you waiting for? You can get one right here.